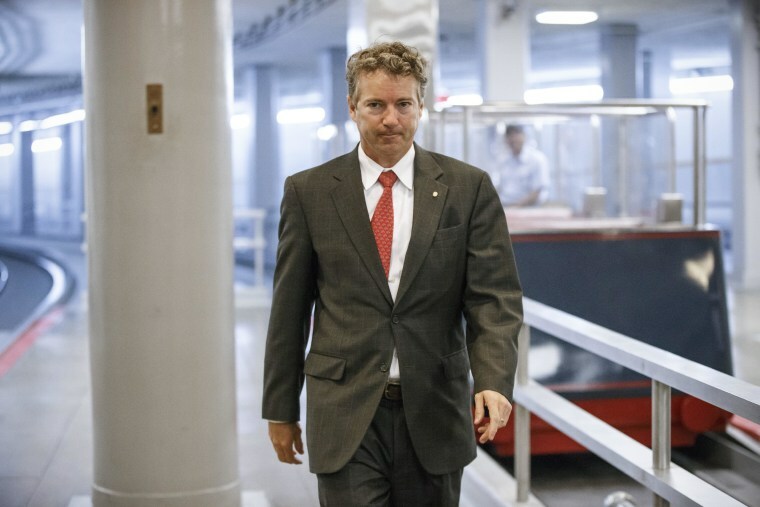 Sen. Rand Paul of Kentucky took to the Senate floor Wednesday to protest the nomination of a judicial nominee he says helped authorize the drone killing of American citizens. “I rise today to oppose the nomination of anyone who would argue that the President has the power to kill American citizens not involved in combat,” he said at the beginning of a speech designed to draw attention to the nomination of David Barron, who was tapped by the Obama administration to be a United States Circuit Judge for the First Circuit. At issue are memos written by Barron while he worked in the Department of Justice, where he authored a legal justification for using drone strikes against Americans abroad. “I believe the Barron memos, at their very core, disrespect the Bill of Rights,” Paul said. The Obama administration announced Tuesday that it would release a redacted version of that classified memo, which had previously not been available to the public. Paul had advertised the speech for days, an echo of his memorable 13-hour filibuster of Obama’s drone policy last March. His remarks Wednesday were brief in comparison, at about half an hour. Despite Paul’s objections, Barron’s nomination advanced in a procedural vote on Wednesday afternoon.